The Business Workbook is a collection of pages we will create to run our security business. 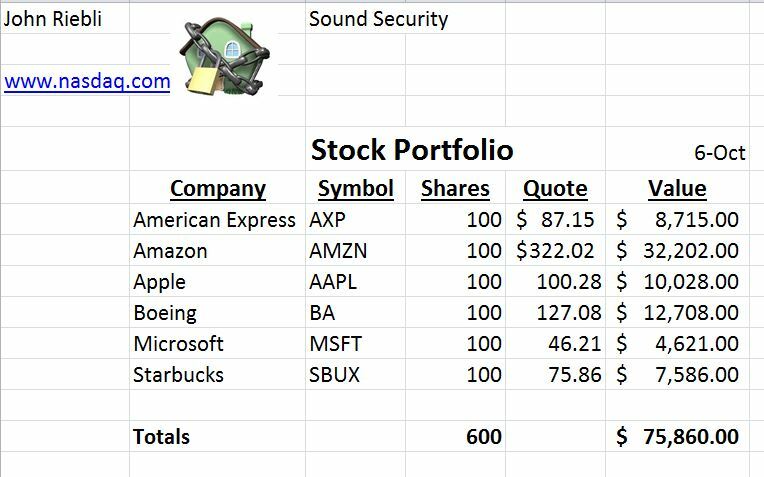 Page 1 is our Stock Portfolio Page. 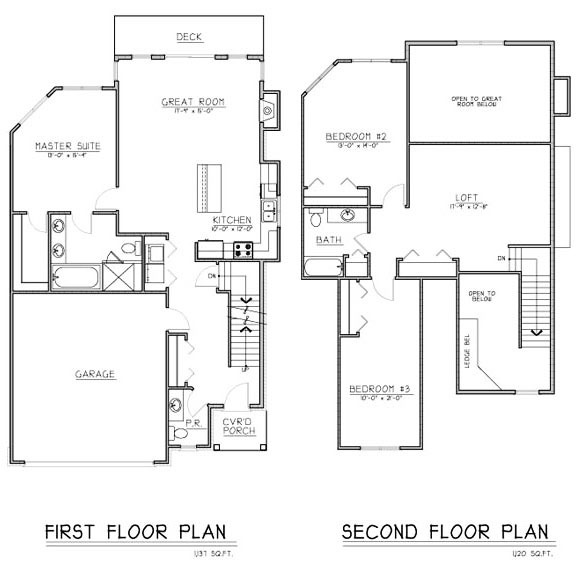 For a sample layout Click Here. 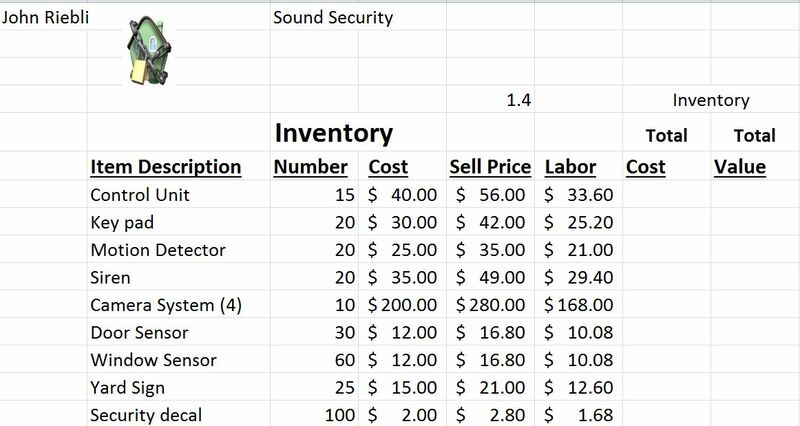 Page 2 is our Inventory Page. For a sample layout Click Here. Page 3 is our Balance Sheet. This tracks our assets and liabilities. For a sample layout Click Here. Page 4 is our Employee Record Page. This tracks our employee costs. For sample Click Here. Page 5 is our Vehicle Purchase Page. 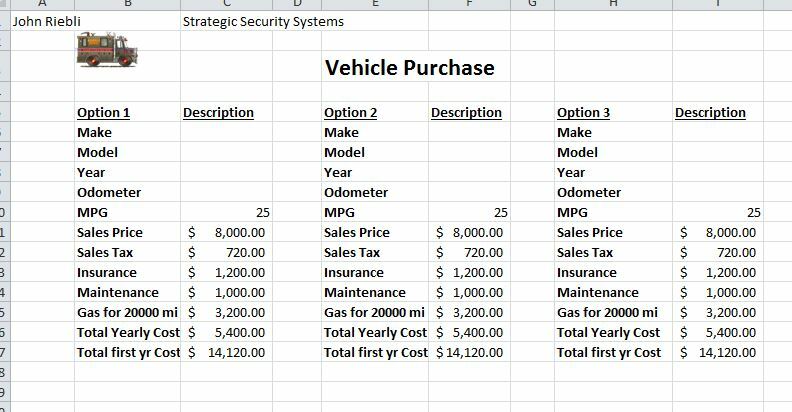 Here we research three vehicles to make a purchase decision. Click Here. Page 7 is our Advertising Budget page. This brainstorms advertising options. 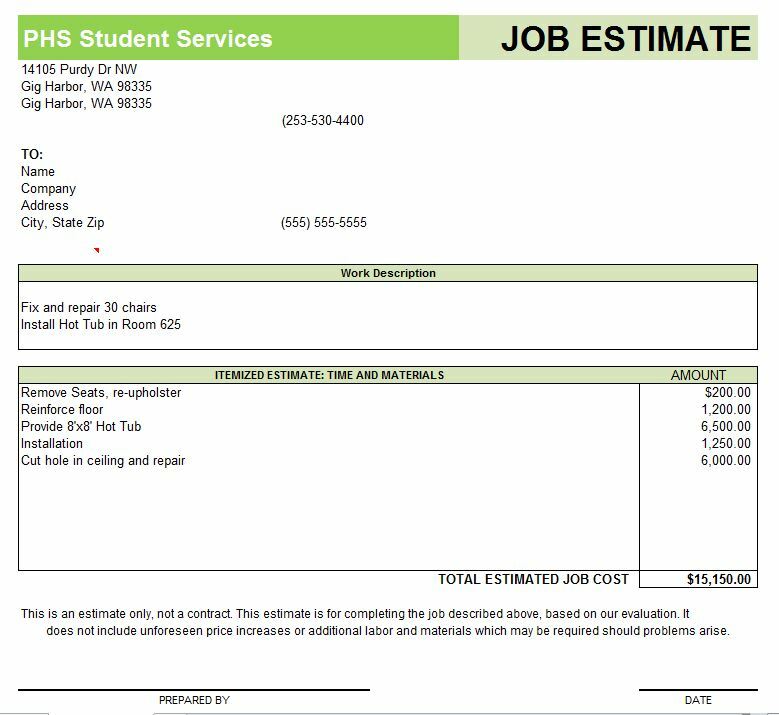 Invoice Template: Find and open the template: File/New/Invoices/Estimates/Job Estimate ﻿shown here﻿ and revise to look like this. Christmas Bonus Calculator. Copy the data in the link here to a fresh Excel sheet called Christmas Bonus. 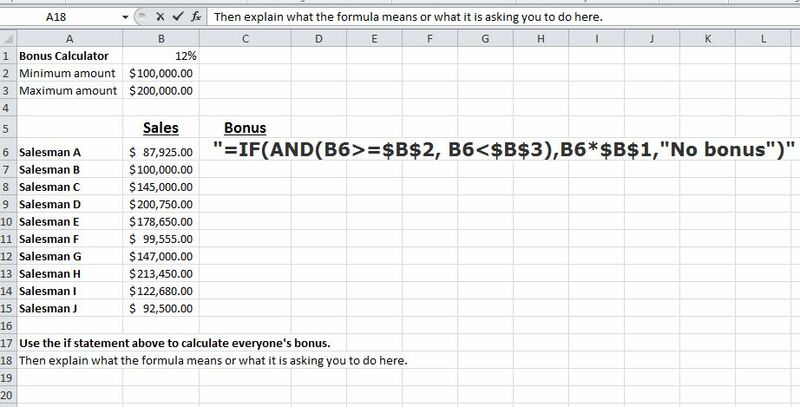 To calculate the actual bonus you will need to adapt the if function which is pasted into the calculated Bonus Column. This will tell you who doesn't get a bonus and will display the actual bonus for those who do get it. Then explain how the function works in your own words. Turn in file with your name and bonus in title. CountIF and Sumif: Watch these videos here. 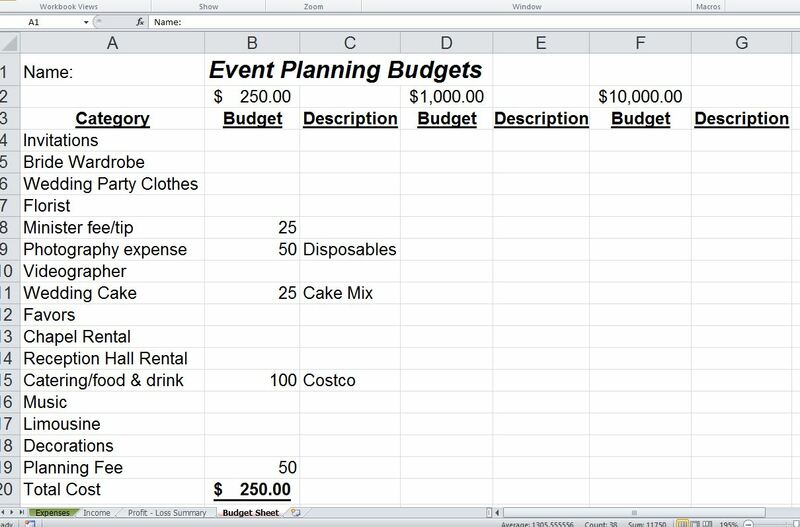 Then construct an original spreadsheet that utilizes both functions. We will play them in class. 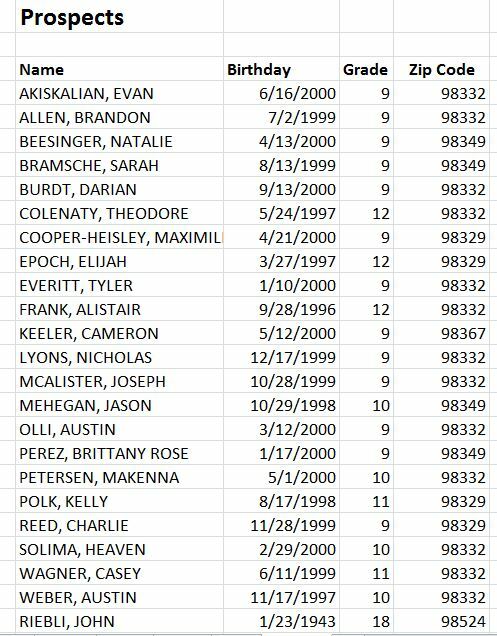 Please turn in with your name and countif on the name of the excel file. Now, You will need to make up three to five questions for an opinion poll. The example above uses pets: cats, dogs and fish. You will make up your own. 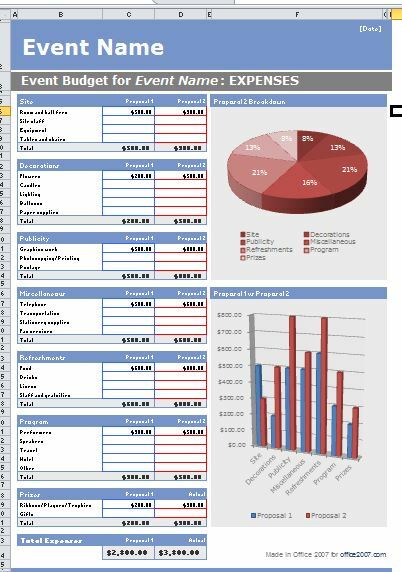 Then, put your information into Excel and create two charts. Develop each with title and legend. Then, write a statement about which chart you prefer and why. Print the charts out and turn in. 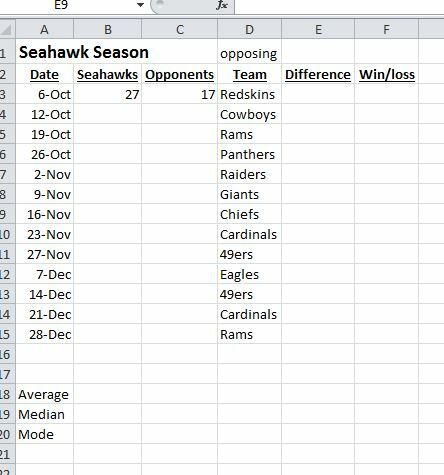 Seahawk Scores This assignment involves doing some quick research to find out what the scores were with Seahawks during the regular season. For the spreadship layout click here. Some of the functions you will need are mode =average(b3:b17), median =median(B3:B17) and Mode =modc.mult;(B3:B17). In addition you will use if logic to determine win or loss. The formula for the if function will be if(E3>0, "W","L"). Wedding Event Planner Today you want to load the event planner file from the assignment folder. This file has two tabs which are colored, one is green and one is red. Your task is to put together a proposal for two wedding options. Proposal One is the $1000 wedding option; Proposal Two is the $10,000 wedding option. You will need to write over and replace quite a bit of information on the sheets. 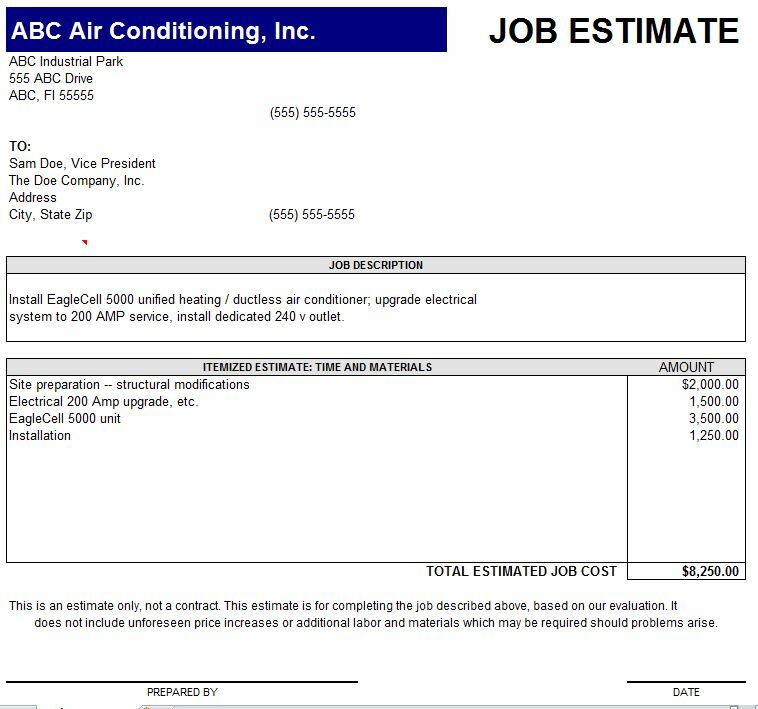 You need to make the totals fit the $1000 budget and the $10,000 budget. Fill out both work sheets and submit with your name to the Turn In folder. This project is worth 15 points and is due Thursday.Try to get creative so that you have a quality wedding regardless of the price. You may have to find a free venue and you may have to ask people to bring some of the food to make the numbers work. Good Luck.